It’s always exciting to find a new restaurant representing Michoacan, which is an important state in Mexican gastronomy because it earned traditional Mexican cuisine its status as an Intangible Cultural Heritage by UNESCO. Impressive, but the real reason to be thrilled is that Michoacan has some of the best cooking in Mexico. It’s a cuisine rich in traditions and it’s just delicious, especially the moles, which are not as famous as the ones in nearby Oaxaca, but not for any logical reason. Mole in Michoacan is among the best in Mexico. Restaurante Las Michoacanas specializes in the cuisine of Michoacan’s Tierra Caliente (hot land) serving chavindecas (like a mulita, or taco sandwich), regional enchiladas, morisqueta (rice, beans, and pork ribs in salsa), and mole casero con corundas, or homemade mole with a special tamal of pure masa. Owner Evangelina Muñoz—who is from Antúnez, Michoacan, a small town just east of Apatzingan—recently opened this regional Mexican restaurant in South Gate, offering rare tastes of her home state, like corundas. 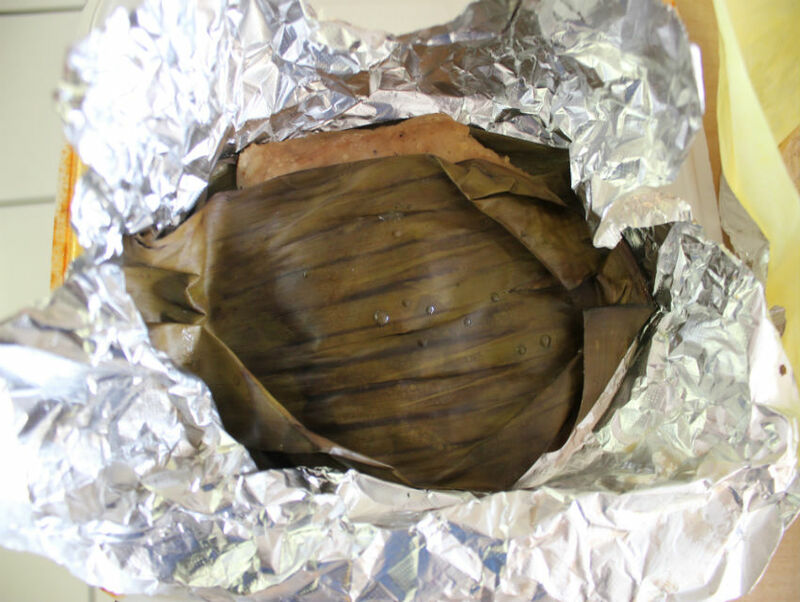 When I last had corundas, in Quiroga, Michoacan, the corn masa tamal was in its typical triangular shape, wrapped in fresh corn leaves, which is soaked in salsa verde and cream. But corundas can be wrapped into more points depending on the level of skill of the tamalera—Evangelina wraps her flat corunda, forming many points around the perimeter, in a banana leaf so you can use it to scoop up her homemade mole. The mole casero is made from chiles guajillos and many herbs and spices that highlight the flavors of the chiles, which is characteristic of most moles in Mexico—only a few contain chocolate. 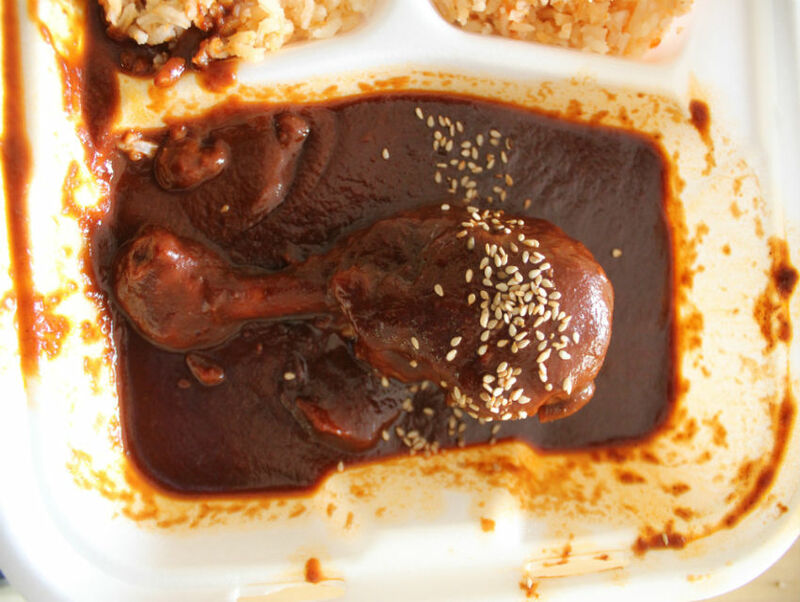 It’s the complete mole experience, a small leg of boiled chicken, rice, handmade tortillas, and a firm tamal, an edible pre-Hispanic utensil at your disposal to enjoy Mexico’s famed dish: mole.